Sterling Silver Brendan's Sea Voyage Bracelet by Metal Arts Group. This design represents a long and winding journey. 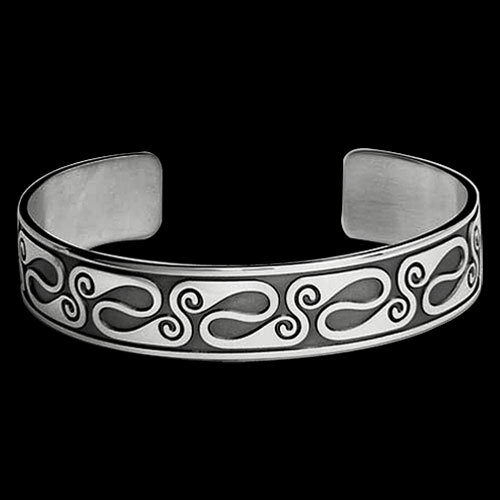 Using Celtic spirals that symbolize waves, they form looping paths across the bracelet. The piece, named Brendan's Sea Voyage, personifies the spirals and the path he ventured - a quest through the waves to an unknown end. 6.5 x 0.6 inch Sterling Silver Brendan's Sea Voyage Bracelet by Cari Buziak. Made in USA.